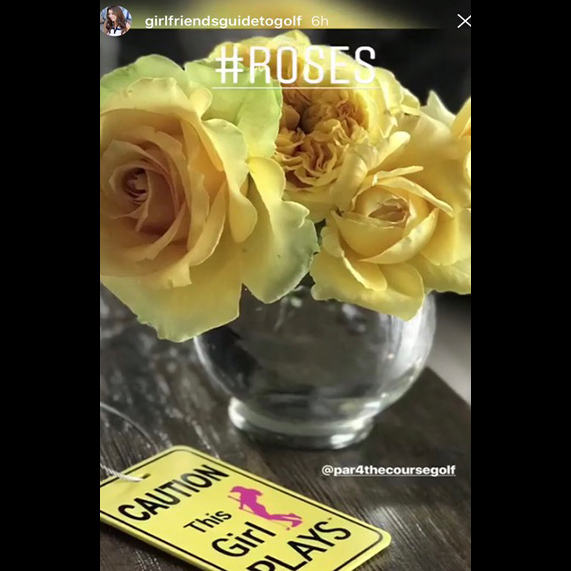 Copyright Par 4 The Course 2018. All rights reserved. • Increase Your Visibility and SAFETY with our Light Reflective Tags! 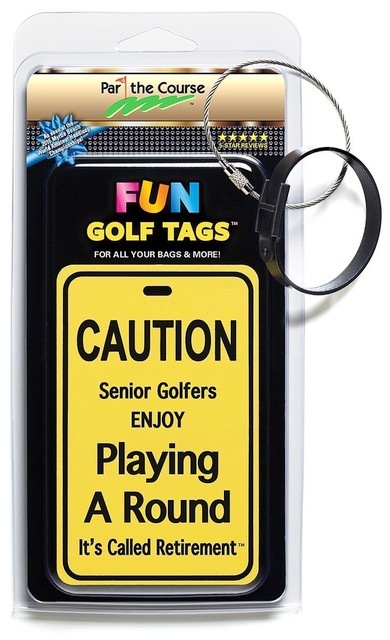 Introducing FUN GOLF TAGS, a One-of-a-Kind Fun golf accessory enjoyed by golfers everywhere. 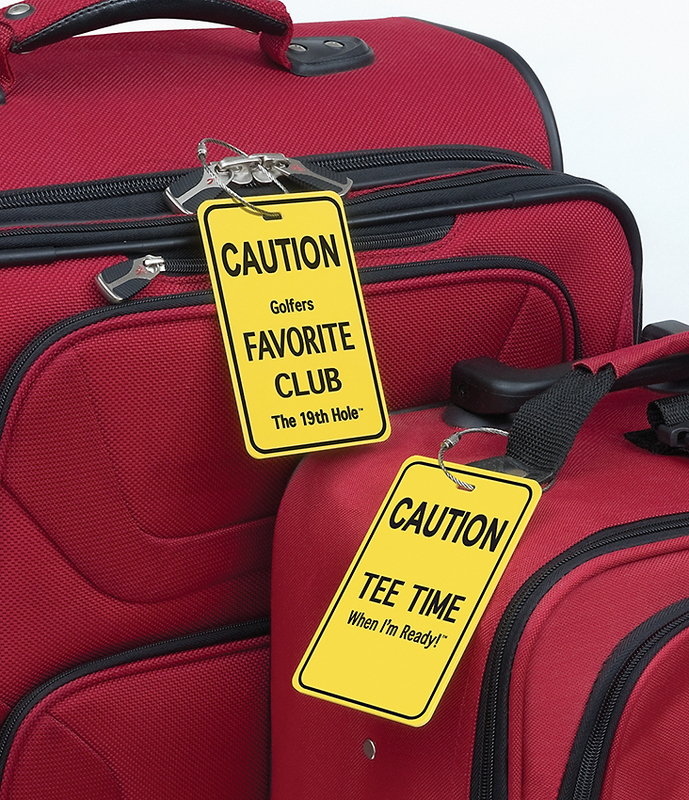 These Golf-Themed Light Reflective tags are a great addition for all your bags and more. 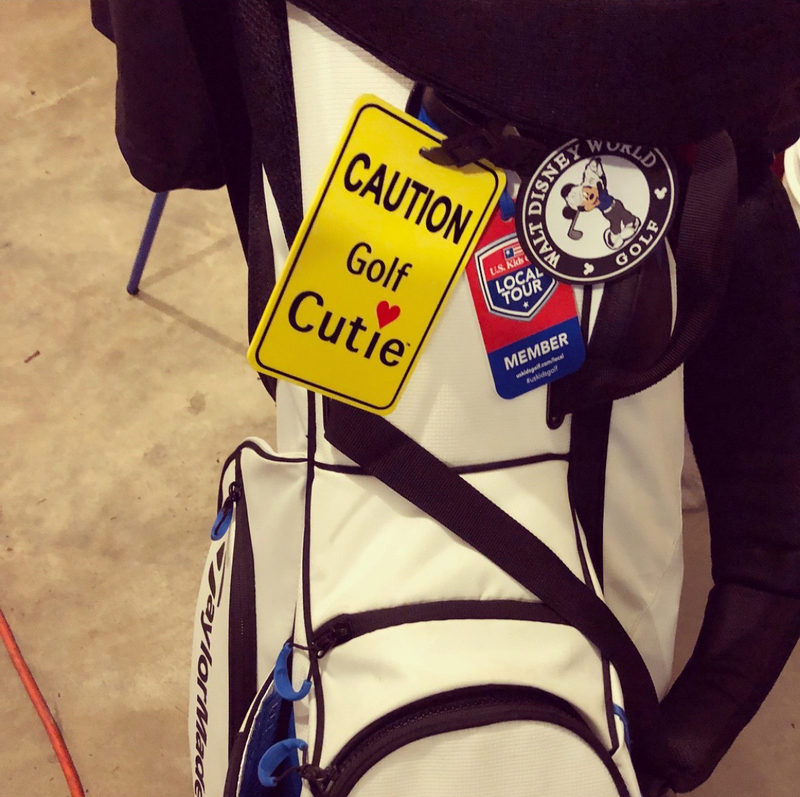 Simply attach our HIGHLY VISIBLE tags to your Luggage Bags, Golf Bags & Backpacks and Easily Identify all your bags like NEVER before, day or night. 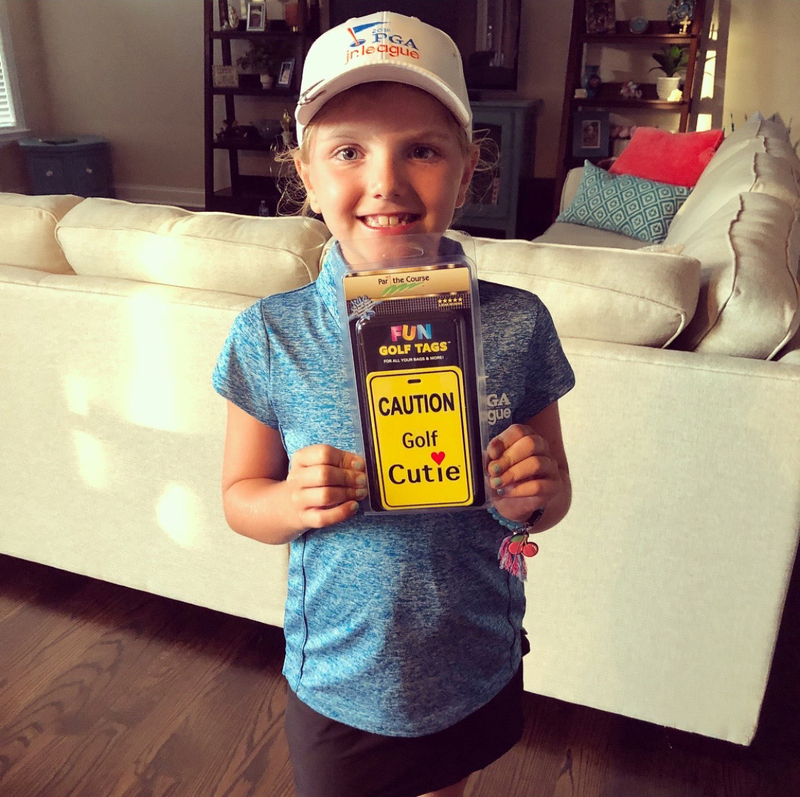 Now you can say goodbye to “Excuse me, but I believe you have my bag.” Printed with a variety of Fun Golf Sayings and priced for every budget and all ages, FUN GOLF TAGS are the perfect gift for anyone who plays golf. Every tag comes with one 2mm steel wire locking loop luggage attachment (twice the industry standard) & one plastic buckle strap. All our tags are made from injected molded ABS reflective plastic. And with their larger size at 4.75″ x 3.00″ x .100″ thickness, they are waterproof extremely solid and durable. 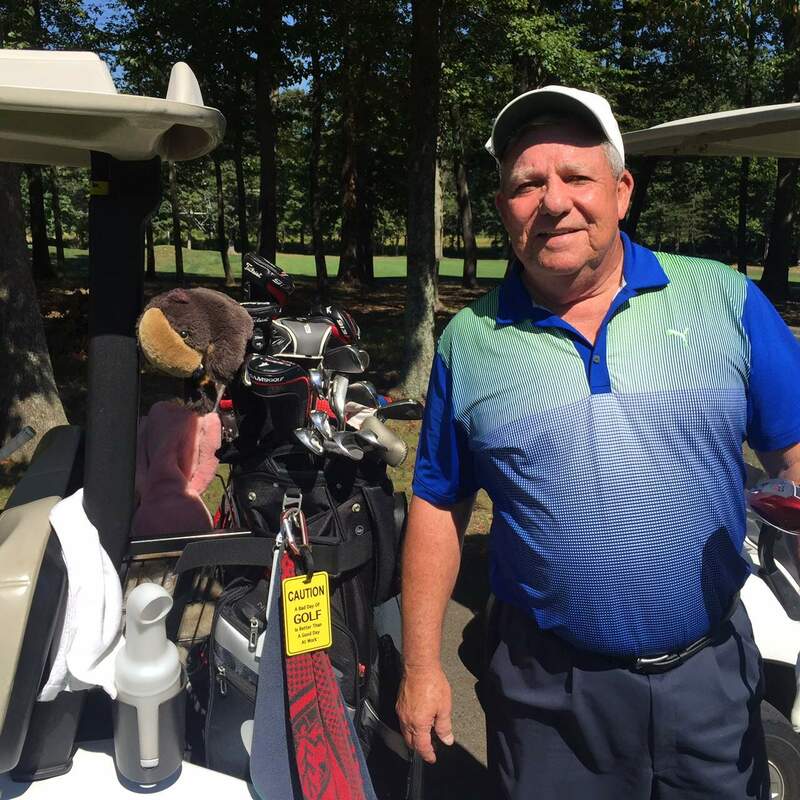 Our FUN GOLF TAGS were Included in the 2016 Myrtle Beach World Amateur Handicap Championships Players Gift Bags. 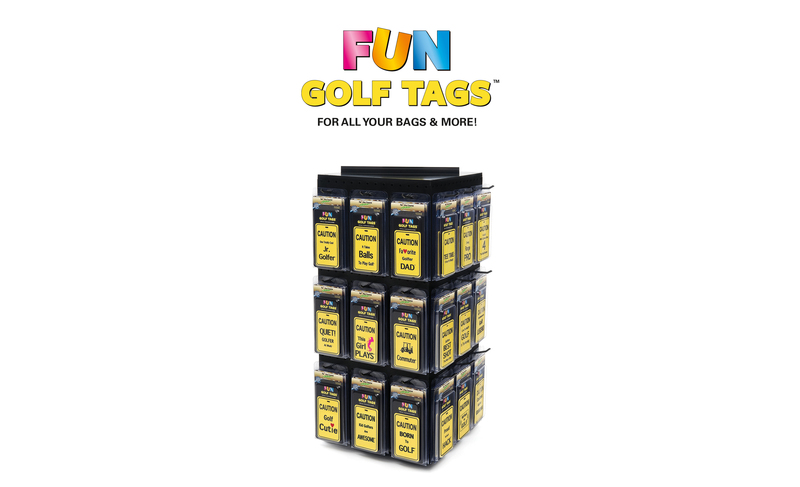 With 30 different tags to choose from and more on the way we’re sure you’ll find a FUN GOLF TAG that’s right for you. GREATER VISIBILITY & IMPROVED SAFETY – Now Easily Identify all your bags and Increase Your Visibility and Safety with our LIGHT REFLECTIVE Tags. 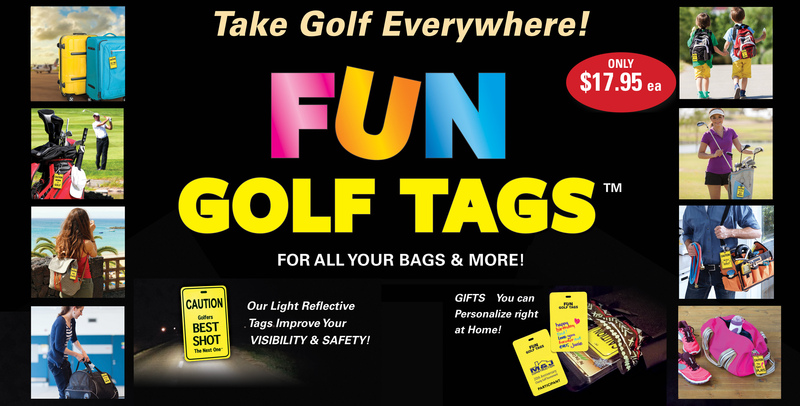 Just like Highway Signs our tags Reflect Light from all Light Sources Day and Night making YOU and all your bags much more Visible in Car Headlights, Parking Garages, Terminals, Early Morning Golf, Work & School. 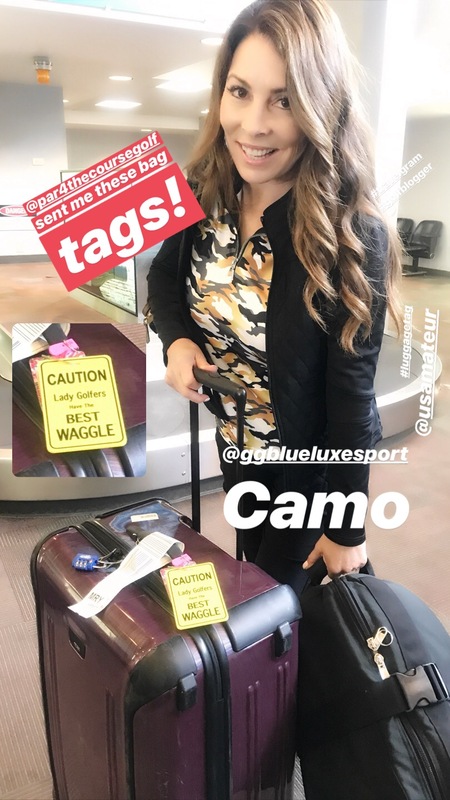 LARGER SIZE – At 4.75″ x 3.00″ x .100″ Our Tags are 23% larger in size than standard luggage tags. These tags are Extremely Tough and will not Fold or Tear. All our tags are made from Injected Molded ABS Reflective Plastic and are Completely Water Resistant. Every Tag is Pad Printed with the Highest Quality Ink that will not run or come off. 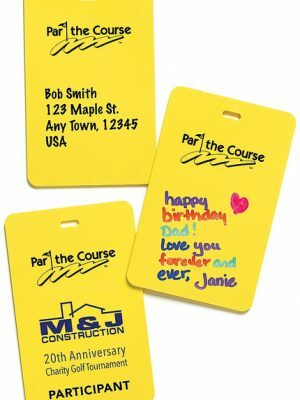 You can Personalize your tag in just minutes right at home. 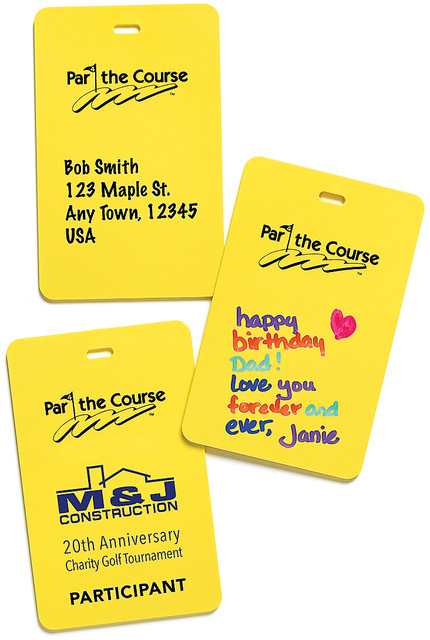 Choose any permanent marking device and create your Own Design in the space provided on the back of the tag. For a Gift simply remove the tag from our Easy Opening Package by pulling it apart at the sides. Add your Message then re-insert the tag and close by squeezing it back together at the top corners. 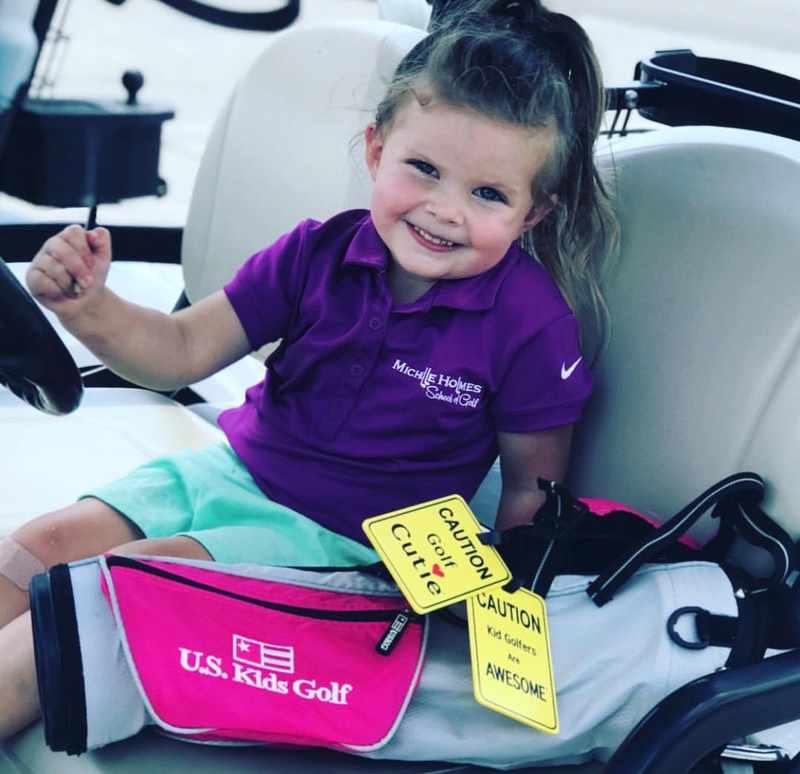 For Tournaments, you can print your Corporate logo or Event name. Every Tag comes with One 2mm Stainless Steel Wire Locking Loop Luggage Attachment (twice the industry Thickness) and One Plastic Buckle Strap.